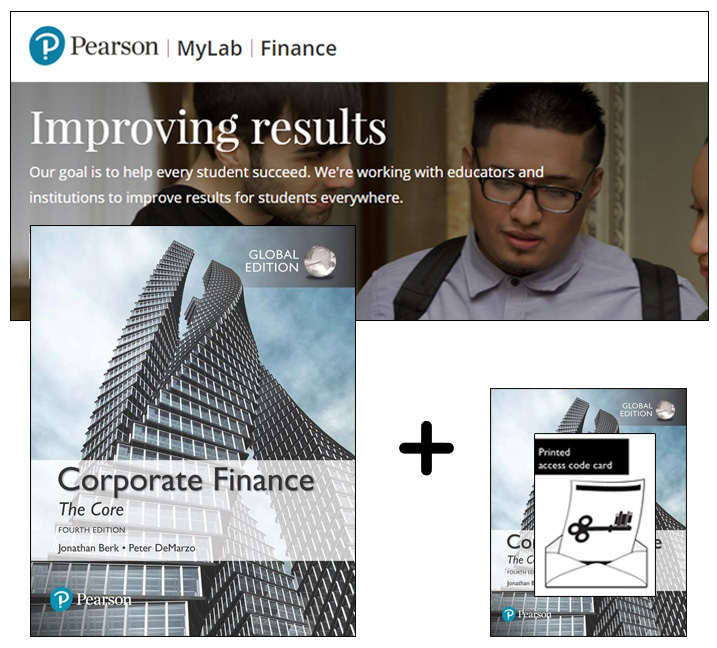 This pack contains 1 copy of Corporate Finance: The Core, Global Edition + 1 printed access card to MyLab Finance with eText. Berk and DeMarzo's Corporate Finance uses a unifying valuation framework, the Law Of One Price, to present the core content instructors expect, the new ideas they want, and the pedagogy their students need to succeed. Corporate Finance: The Core fits programs and individual professors who desire a streamlined book that is specifically tailored to the topics covered in the first one-semester course. MyLab Finance is an online homework, tutorial, and assessment product designed to personalize learning and improve results. With a wide range of interactive, engaging, and assignable activities, students are encouraged to actively learn and retain tough course concepts. MyLab Finance is not a self-paced technology and should only be purchased when required by an instructor. The duration of access to MyLab Finance is set by your instructor for your specific unit of study.